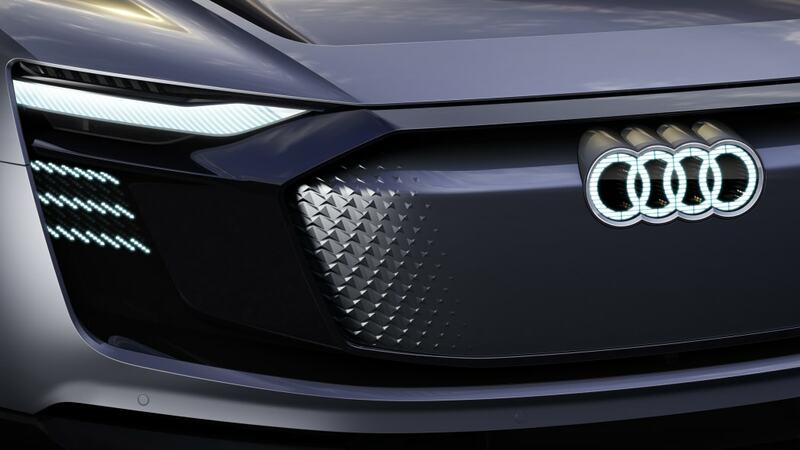 It will be the second EV, after an SUV slated for 2018. 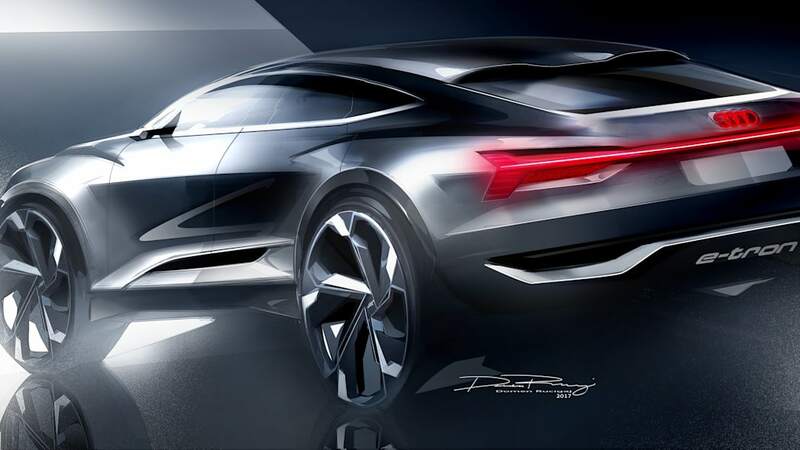 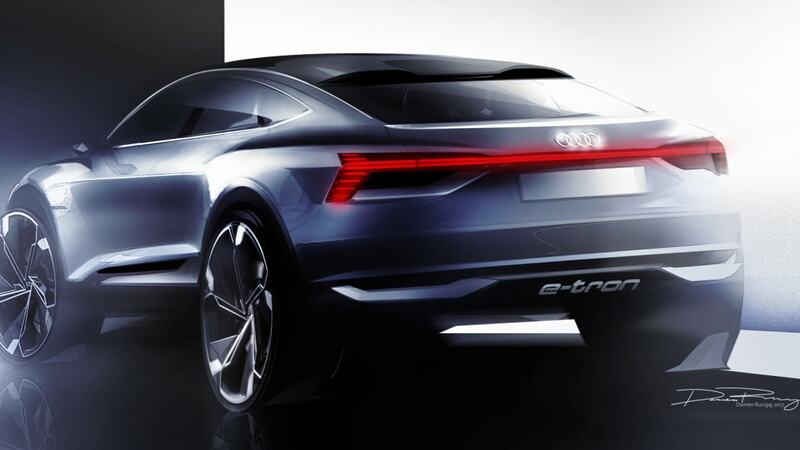 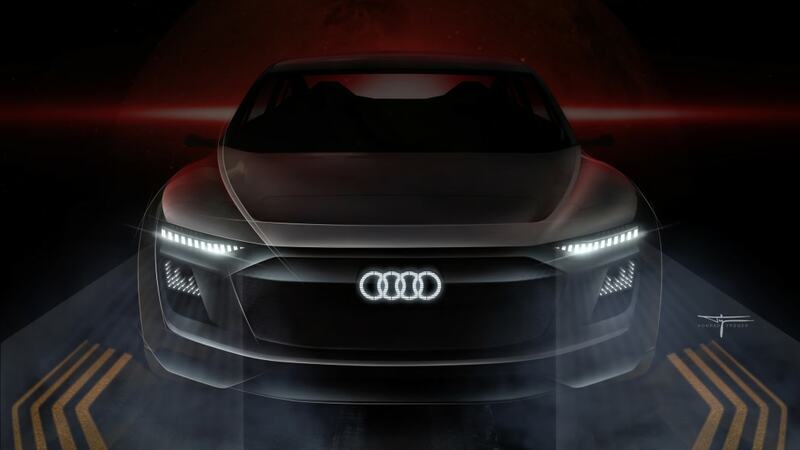 Audi has revealed the E-Tron Sportback concept it has been teasing ahead of Auto Shanghai. 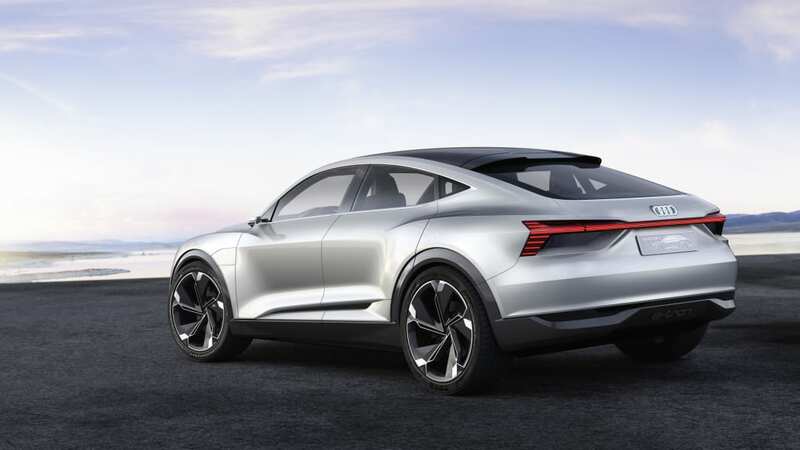 The all-electric model, the automaker says, previews a production model slated for 2019. 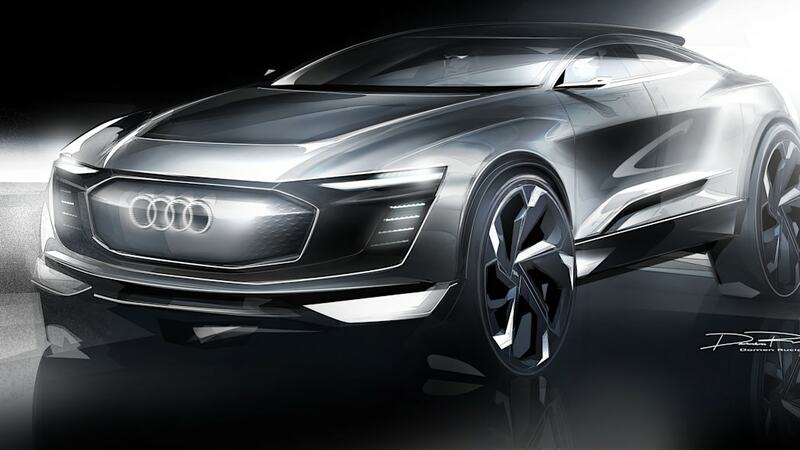 Audi will launch an electric SUV with a driving range of 311 miles in 2018. 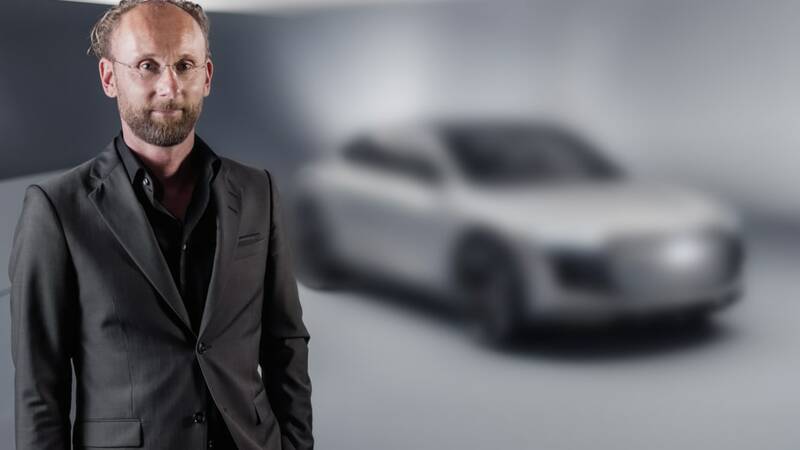 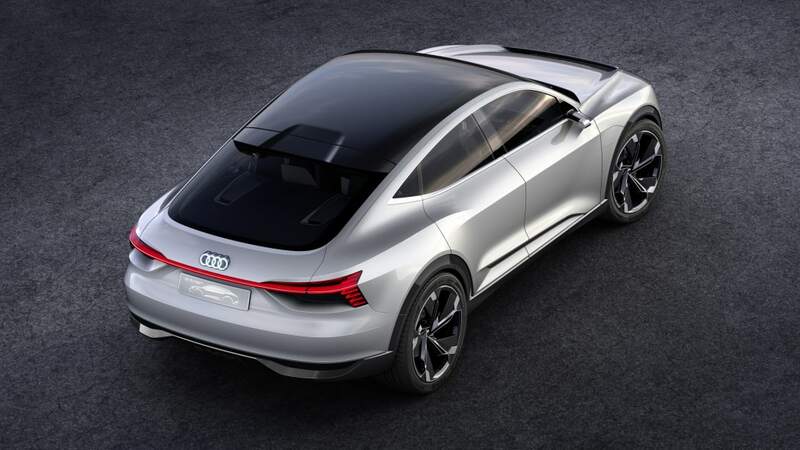 "Following close on its heels, in 2019," says Audi Chairman Rupert Stadler, "comes the production version of the Audi E-Tron Sportback – an emotional coupé version that is thrillingly identifiable as an electric car at the very first glance." 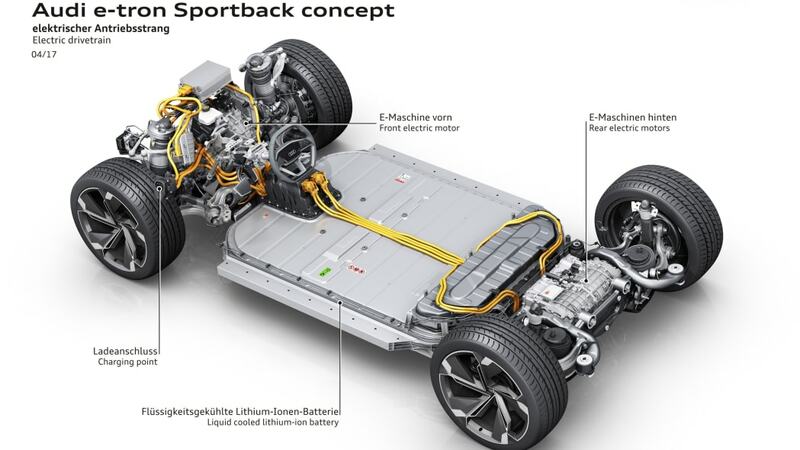 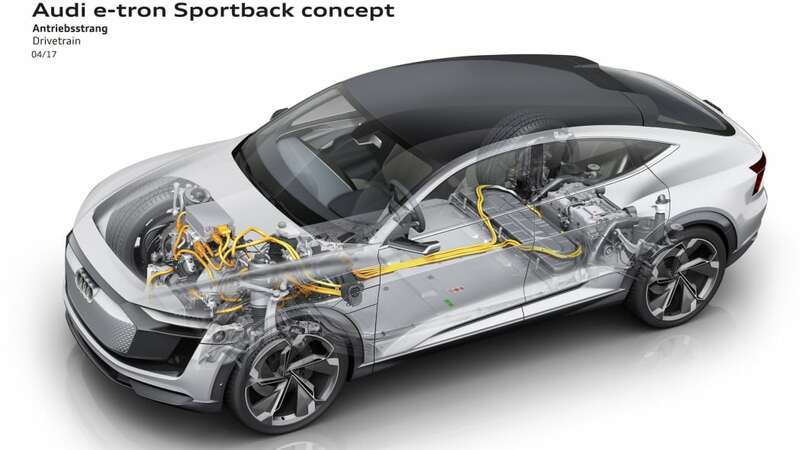 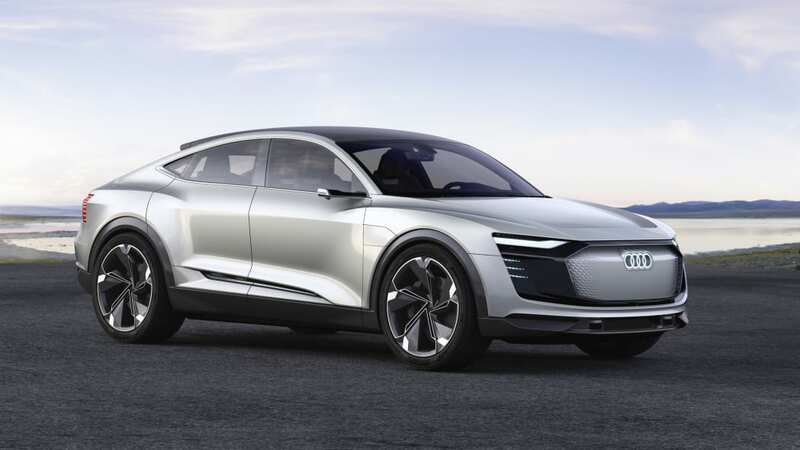 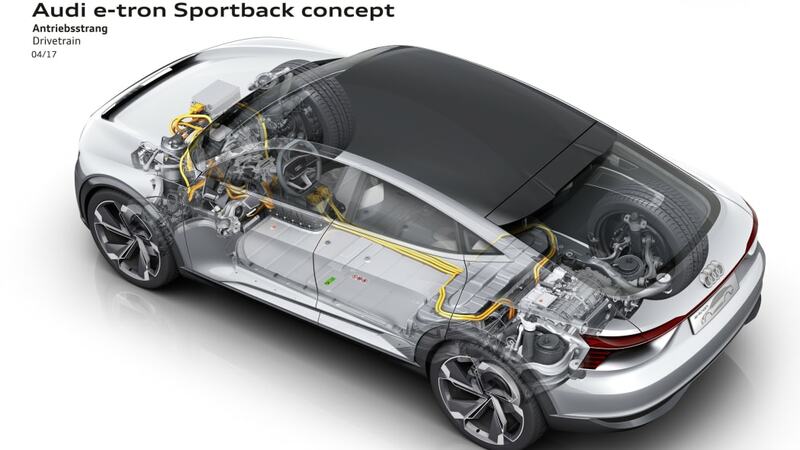 The E-Tron Sportback is powered by three electric motors – one on the front axle, and two on the rear ­– providing a total 320 kW (429 horsepower), with a boost mode that ups that output to 370 kW (496 hp). 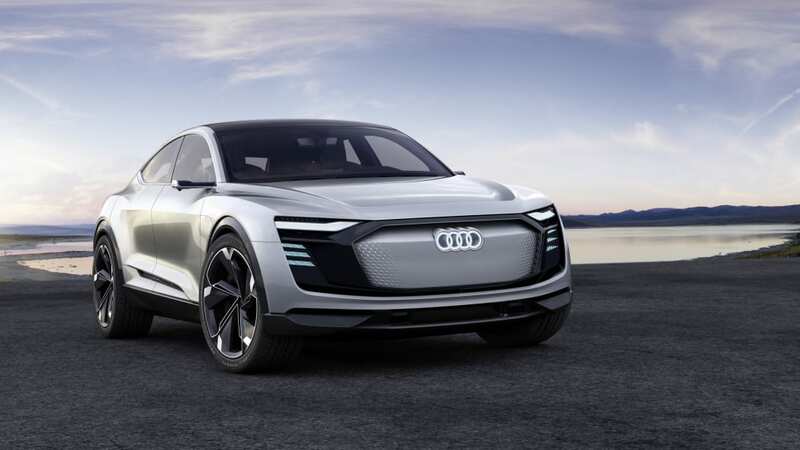 It's capable of a 0-62 mile per hour sprint of 4.5 seconds. 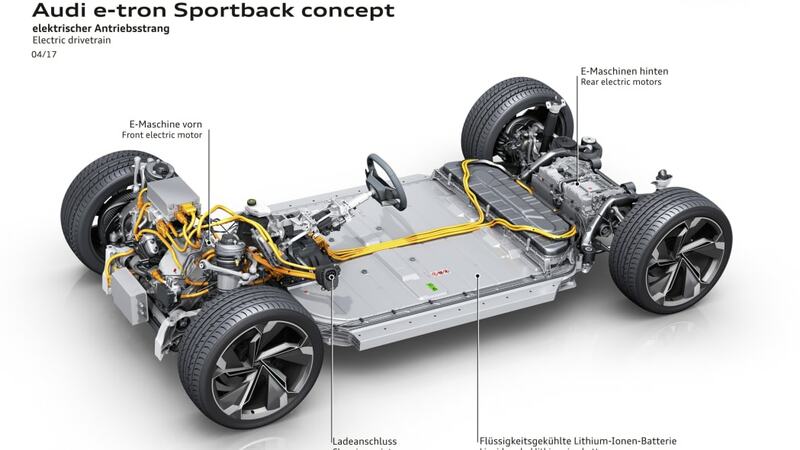 A liquid-cooled 95-kWh lithium-ion battery provides 311 miles of driving range (on the European cycle). 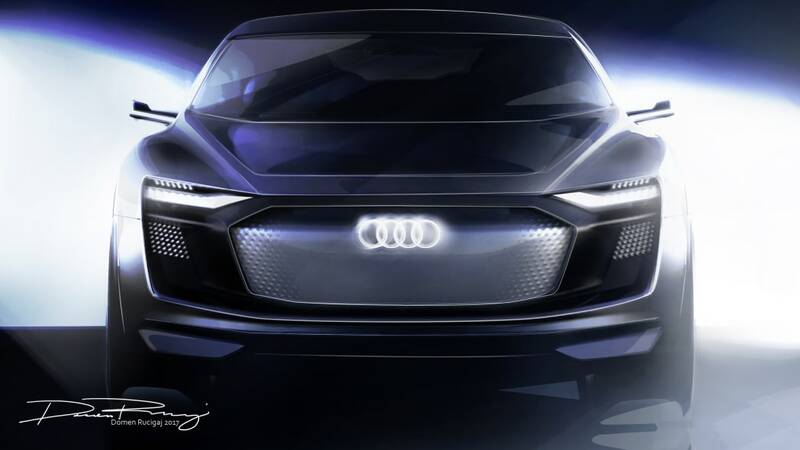 The concept features Audi's singleframe grille, with an illuminated four-ring logo. 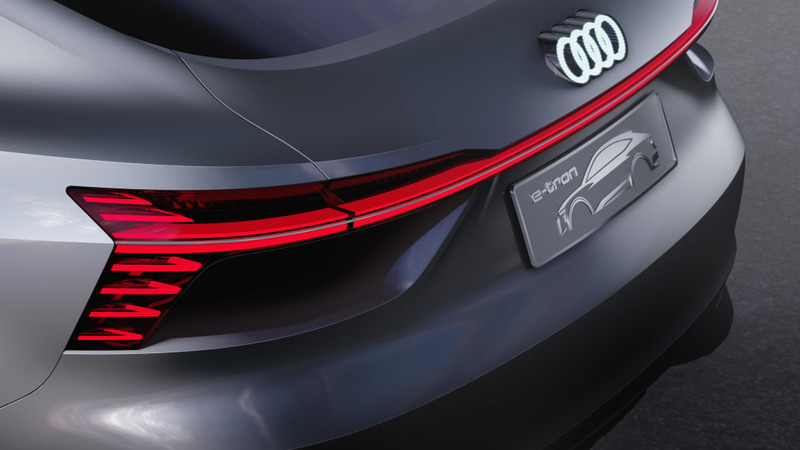 The front of the car is shaped for optimal airflow, and the dip in the hood also gives it a uniquely sporty look. 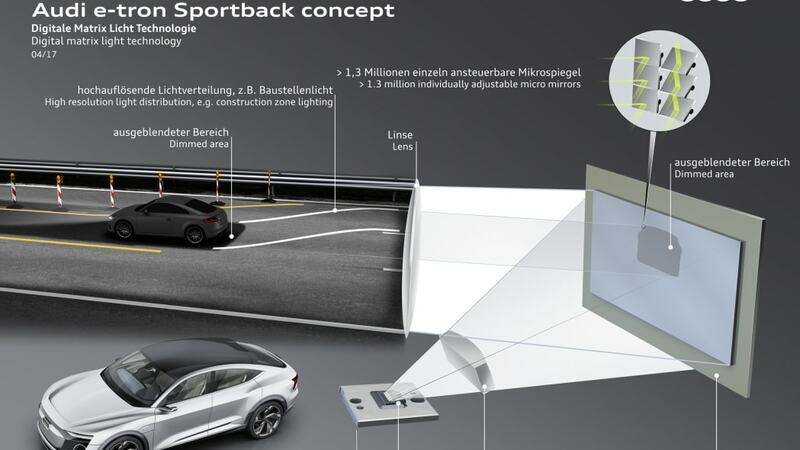 Its front fascia integrates lighting that not only illuminates the road, but can project animations or provide communicative signals to other drivers or pedestrians. 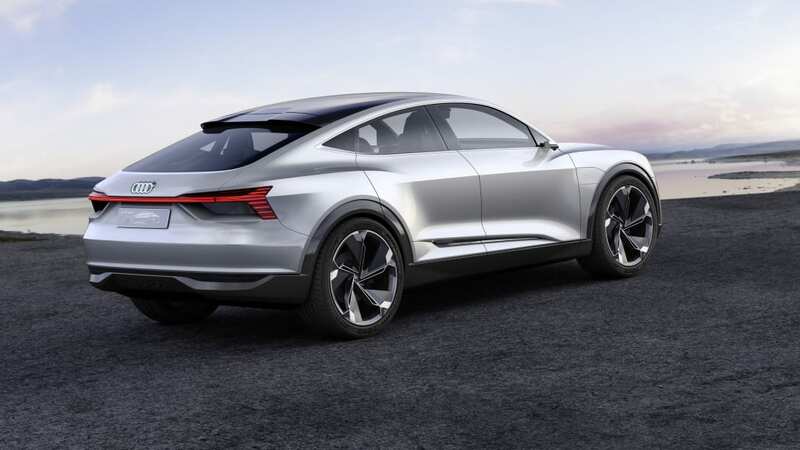 Its 23-inch wheels are imposing, giving the car a muscular stance. 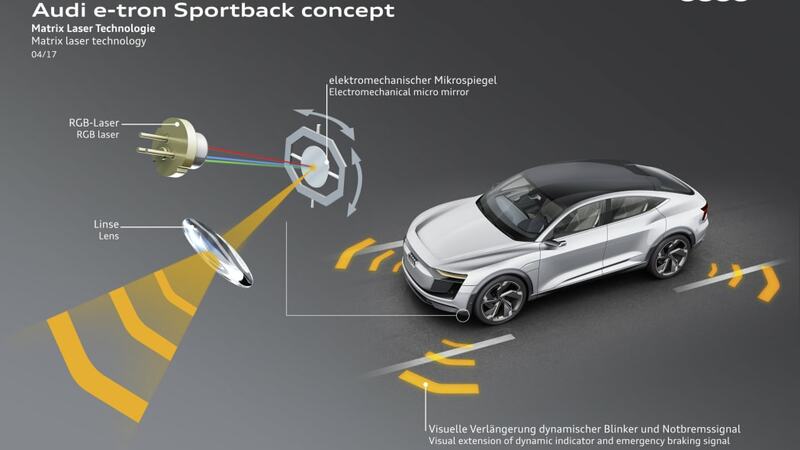 Side mirrors are replaced by slender cameras, which improve airflow and provide a better view of the car's surroundings, helping to eliminate blind spots. 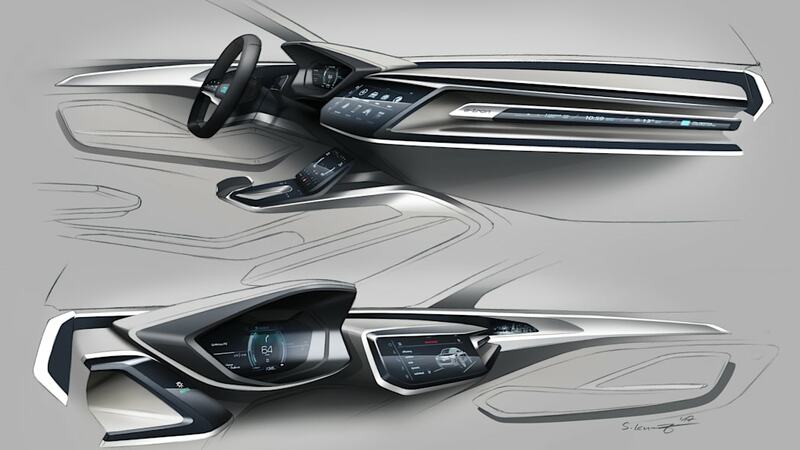 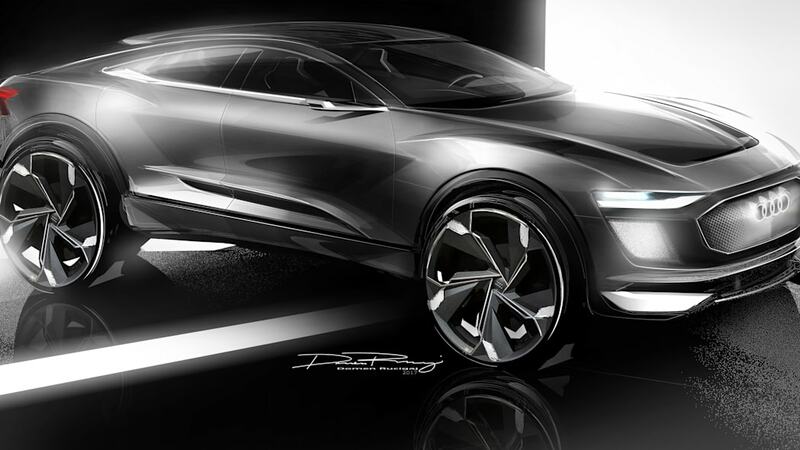 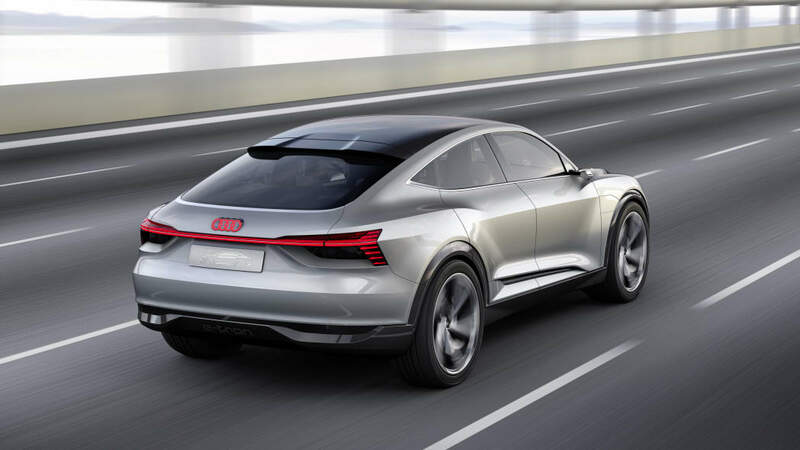 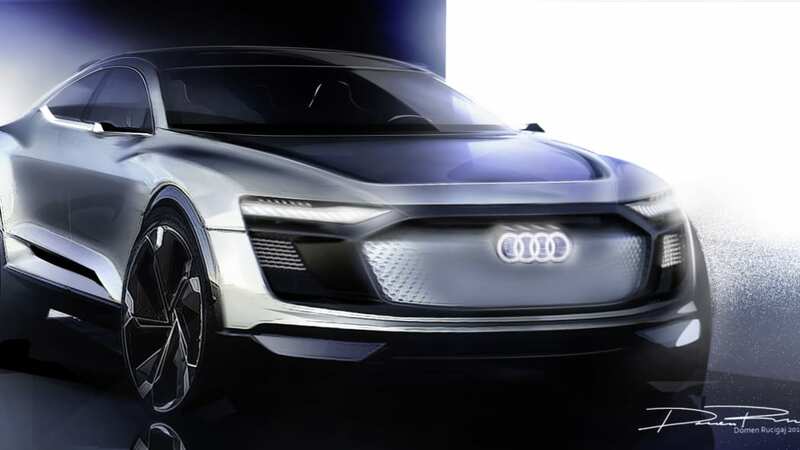 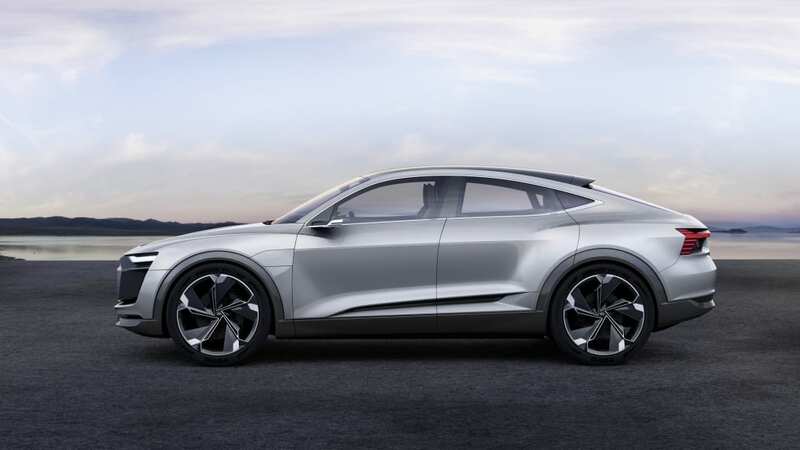 By revealing the E-Tron Sportback concept in China, Audi is acknowledging the significance of the country's electric vehicle market. 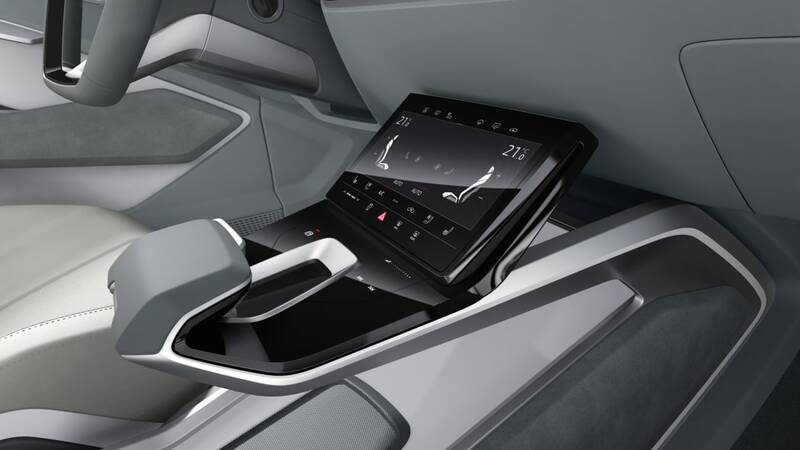 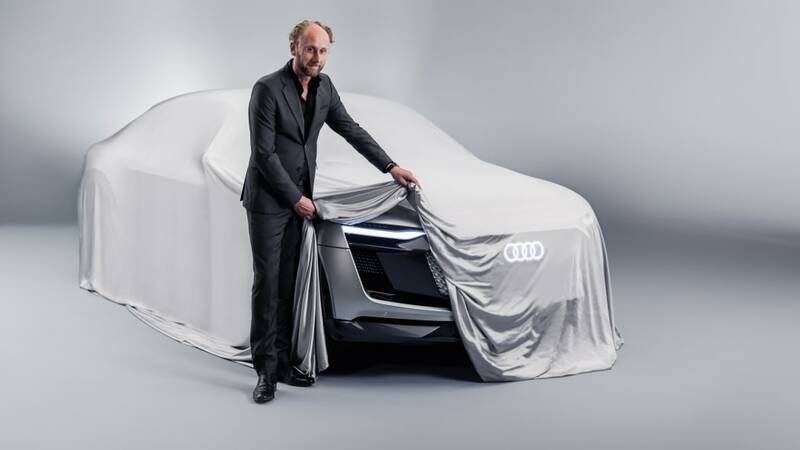 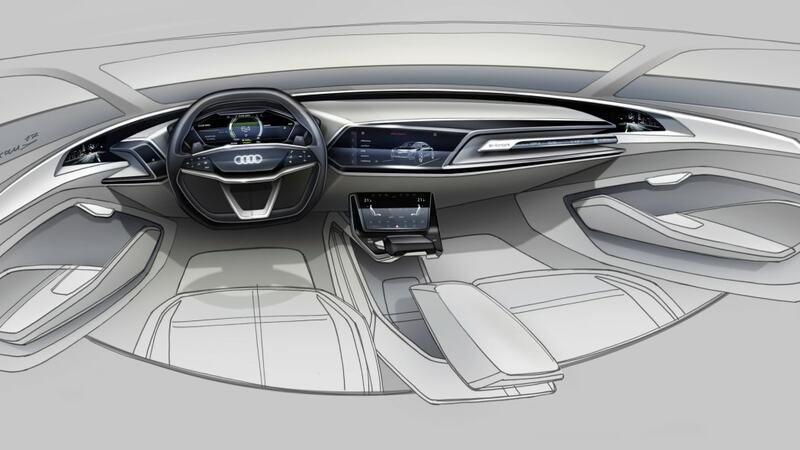 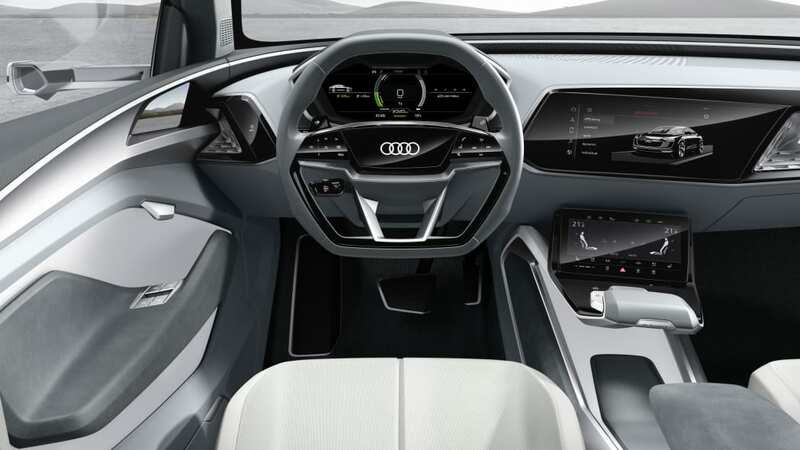 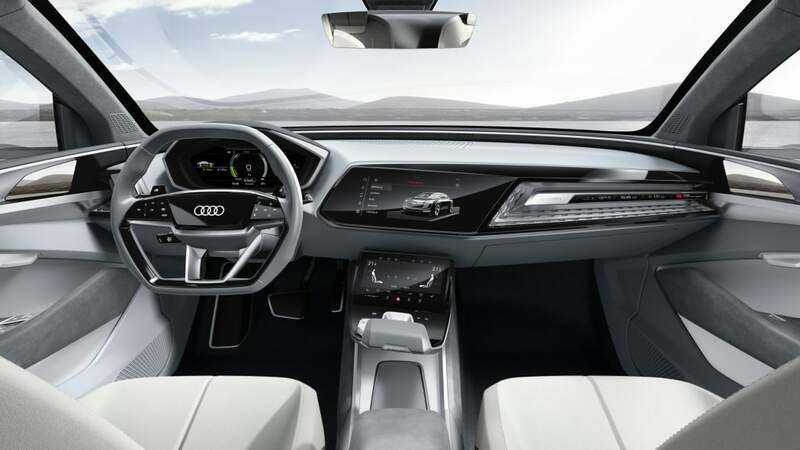 "There are already about 150,000 charging stations in the country, with another 100,000 due to come on stream by the end of 2017," notes Audi Board Member for Marketing and Sales, Dr. Dietmar Voggenreiter. 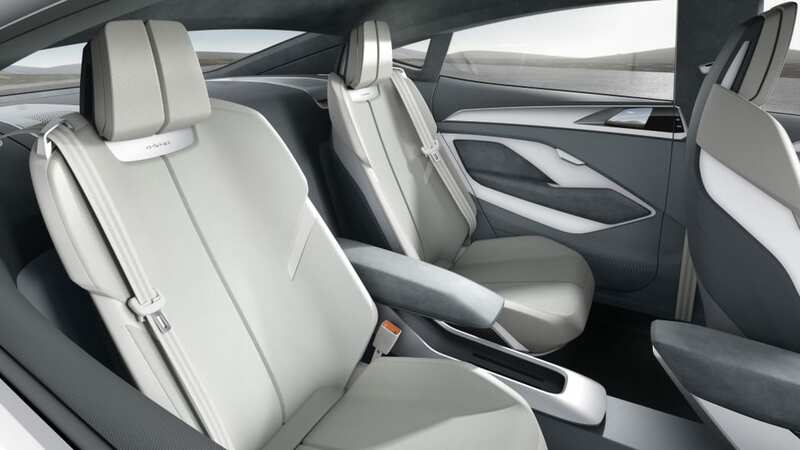 "We are well equipped for this rapid growth. 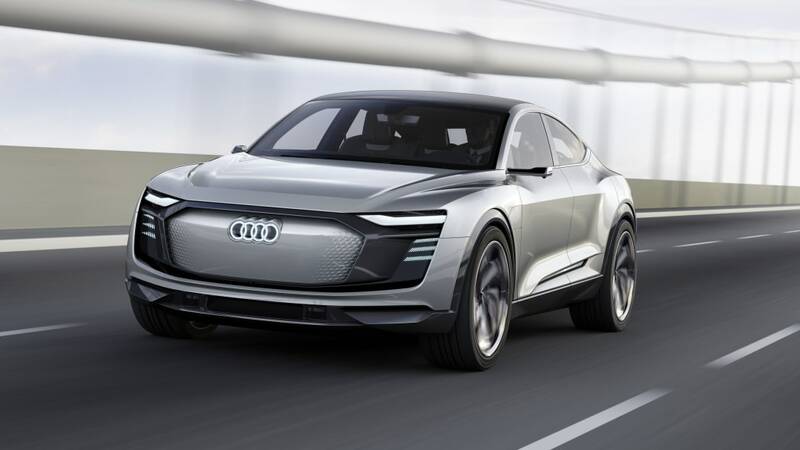 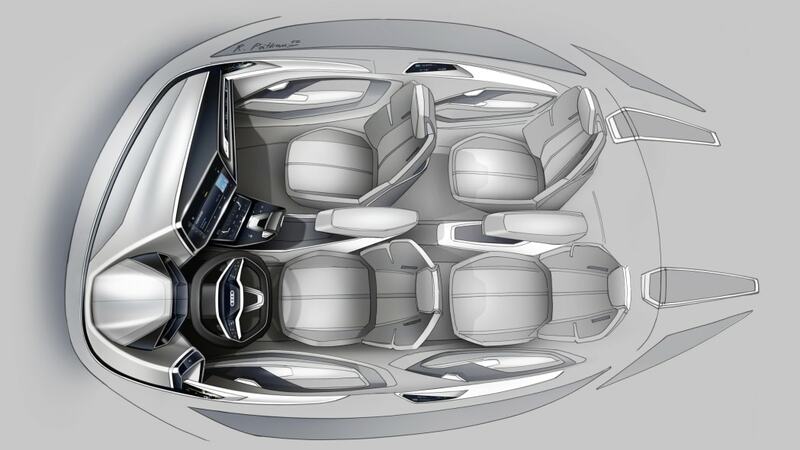 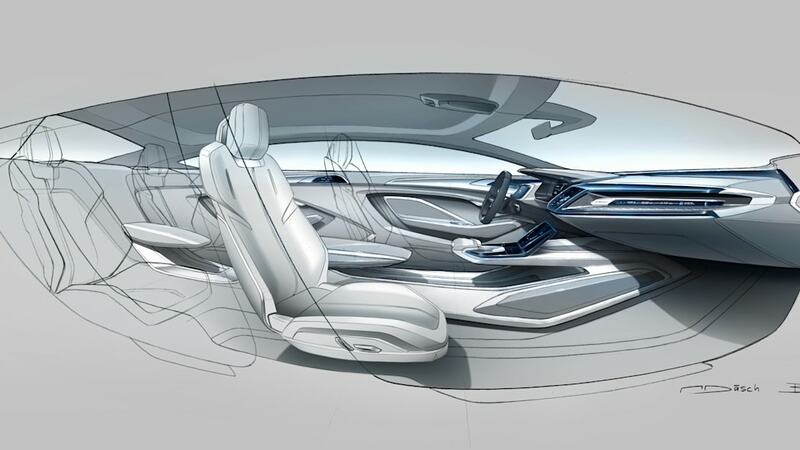 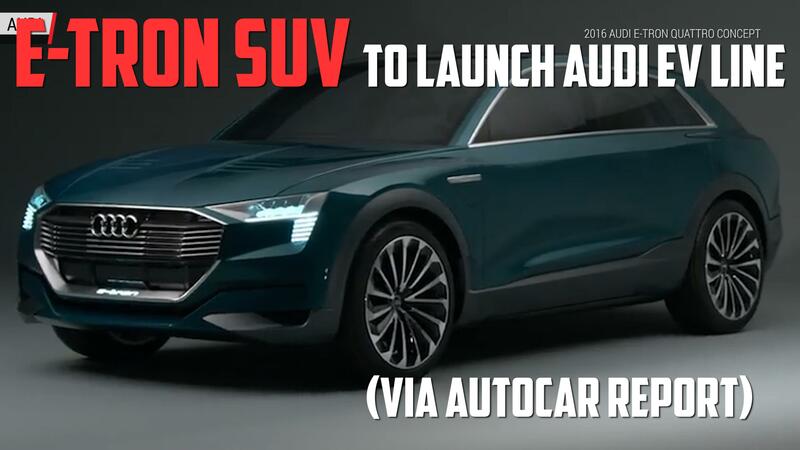 In the next five years we will be offering five E-Tron models in China, including purely battery-powered vehicles with ranges well in excess of 500 kilometers (310.7 miles) such as the Audi E-Tron Sportback."